Big news!!! Have you heard? I have been teaching yoga and meditation in Saco since 2003 and in 2008 my little studio in Pepperell Square found me. Many of you know the story because you were there. I absolutely did not want to commit to a lease and a ‘business’ because I already had my three young children to raise and my faculty position teaching chemistry and biochemistry at UNE. I was content ‘sharing’ what I learned from my yoga practice, my many teachers and the connections I saw between science and yoga simply because I was jazzed about it all. It was a very fulfilling hobby. My life was happy and full. Little did I know my life could become radiant. But it did as I followed each next thing my heart said yes to even though my head has screamed no SO many times over these years! Lots of faith. I signed that lease then my classes and life immersion programs grew so much that I left my ‘real’ job to do this full time in 2014. And here we are, 10 years later, my kids all grown up and over a thousand people having spent time with me in Pepperell Square. So many of you adding your mojo to that same 3rd floor tree house of a studio overlooking Saco. Such a sacred space and so many stories for so many! And here I go again, receiving that gut feel for our next phase. It’s time to ‘take it to the streets’ where we will be more visible and definitely more accessible. On Tuesday September 4 we will begin holding our classes in our new home at 209 Main Street in Saco, right next to the Post Office. We are in the space that was a florist for many years which is hysterically appropriate… Kusum is a Sanskrit word that means ‘flower’ or ‘flowering’! Look below for details about our Relocation Celebration week, September 8-15 with our studio dedication, Kirtan and a week of donation based classes to benefit the Saco Food Pantry. Join us! We aim to be an inclusive safe space, accessible to all. We aim to be a soft space for people to land whenever they need it. We aim to give people simple, time tested, individualized tools to better their own lives so they can then go out and better the lives they touch. We aim to foster awareness of the constricted places within ourselves and within our world so we can shift them. If you are not familiar with what we do, here is a brief overview. We are real yoga for real people…the point is to help you find more ease in your body & mind and to show you how to bring that ease into the rest of your life in a very palpable way starting right from where you are now…all levels, all bodies. If you can breathe, you can do our classes. Kusum Institute is dedicated to delivering clear, potent experiences and knowledge to help you skillfully and predictably design the experience of your own life based on the philosophies of yoga. I can’t tell you that if you apply our tools and perspectives to your life that it will become perfect. It’s not about perfection, it’s about direction. Changing course. Doing different to get different. Upleveling from wherever you are right now. If you think your life is a mess, the one thing I can say is that it will become less of a mess! We offer weekly physical yoga classes and meditations AND we leave space on our schedule for so much more too because we want you to learn how to navigate more than your yoga mat. Lots of workshops, immersions and inspired events will be added to our schedule. We’re an INSTITUTE for learning and growth through multiple modalities. You CAN have more of a say in the quality of your own life and all lives that you touch. As we settle into our new home over the next few months, watch for more classes, workshops and inspired events! If you have questions about where to start, I’m happy to help. Please feel free to contact me at 207.590.9800 or penny@kusuminstitute.com. I visited Kusum Yoga when visiting Maine. I felt I left a piece of myself behind when I had to go home. Since then I have been planning a way to take a "retreat" of sorts and return to Maine so I can again practice yoga with these amazing people. The first weekend of the Kusum Lifestyle Immersion, I started to feel something different. I was grateful to be able to take this time for myself, to explore yoga in a depth I had never imagined I would. This spark of gratitude from the beginning of that first session as we all shared our names and reasons for attending became something much greater as we spent more time together and as my practice became stronger. Another amazing, amazing weekend! I cannot tell you how much you have changed my life! The immense body of technical knowledge, much of which was unfamiliar to me, would have been obscure to a large extent to me without Penny's introduction and the discussions that followed with my fellow students. In this regard the depth and breadth of my fellow students' experience and those things that they shared allowed me to understand the topics in a far deeper way than if I were dryly reading the texts. Penny has created a wonderful community at Kusum Institute. It's a wonderful place to expand your mind and gain new perspectives. That same sense of community and family carries over to her Kusum Lifestyle Immersion programs. 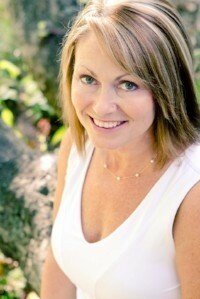 Penny gives you the tools necessary to tap into your true nature and live a more balanced life. Starting Penny's Kusum Immersion has been eye opening for me in many ways, but initially the awakening of my awareness was astounding. I think that since I had been on a spiritual path for quite some time I didn’t really realize that I still had so much to learn, and that was an exciting thing for me. The creative block that I had experienced for many years since all that had occurred, has begun to open. Thank you Penny Clum, and thank you to all of the inspired individuals teaching at Kusum Institute; I am forever grateful and forever changed. Penny has taught me how, through yoga and meditation, I can quiet my mind, let go of control and experience a more peaceful and joyful life. She is a wonderful teacher, full of knowledge and she shares it all with love and support. It is truly inspiring to be in her presence. I have practiced yoga for some time in the Boston area and panicked when I knew I would be spending weeks in Maine. I found Kusum Yoga Saco and know I am blessed because of this. The studio location and facilities are the most beautiful I have seen. The instructors meet my needs and beyond on both a physical and mental level. I felt so fulfilled and at home that I actually planned a subsequent business trip close by to the studio so I could practice with them daily. I started taking yoga classes here a little over a year ago to help with my back pain. I am so glad that I did! I love this studio. The instructors really do a fantastic job. Please let us know you are human, not bot!